Have you been looking for a yummy stabilized whipped cream recipe without having to use the gelatin method? While the gelatin method is still the best method for making the sturdiest whipped cream topping, this recipe holds up very well! 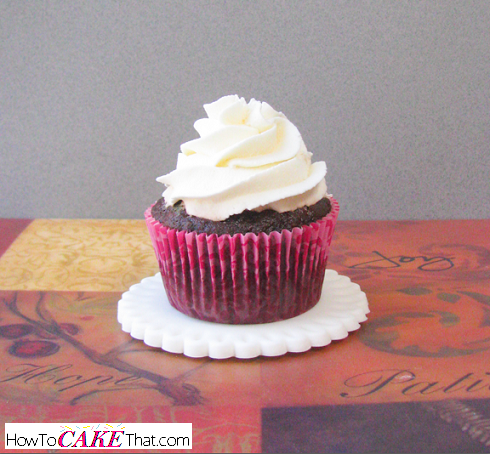 The photo above is this recipe that was piped onto this cupcake 3 days ago! And it's still holding up well! Look at that tall swirl of fluff still standing strong and how beautifully those ribbons of whipped cream held up! 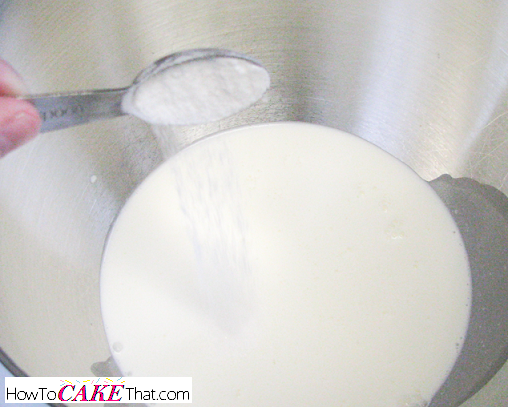 To begin this recipe, pour 1 pint of heavy whipping cream into a medium or large mixing bowl. Next, add 1 1/2 tablespoons of white chocolate instant pudding (dry powder, not prepared). I'm using Jello brand instant white chocolate pudding. If you cannot find white chocolate, vanilla pudding would work as well, but it will give your whipping cream a more yellow tint. Add 1 teaspoon of meringue powder (I know the photo shows "1/2" teaspoon - my 1 teaspoon measuring spoon was in the sink ;) ). 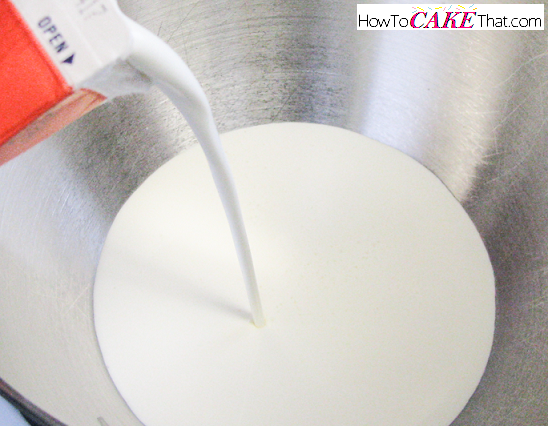 I'm using Wilton brand meringue powder. 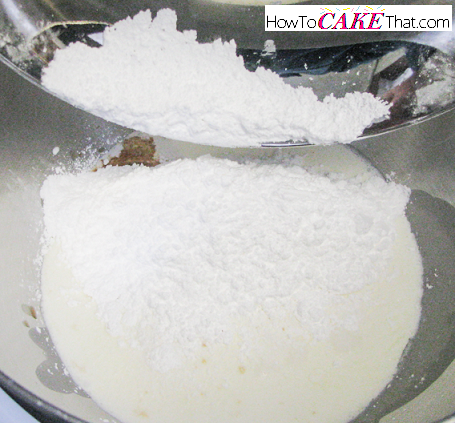 Then add 2 1/2 ounces of sifted powdered sugar to the mixture. If using a stand mixer, fit mixer with the wire whisk attachment and whip on medium-high speed until mixture has stiffened enough to pipe. 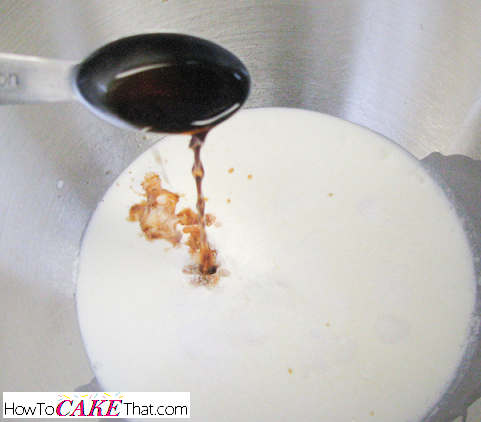 Be sure not to over mix or the whipped cream will start to look curdled and will form bits of "butter". I am using a stand mixer, and my mixture whipped up perfectly after about 60 seconds. If using a hand mixer, it may take about the same amount of time or a little longer. 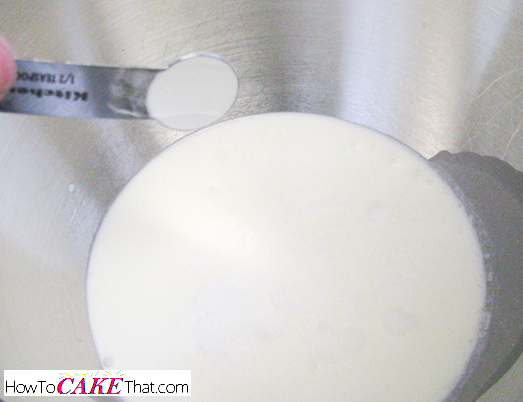 Be sure to scrape down the sides of the mixing bowl after 30 seconds to ensure all ingredients blend well. YUM! I seriously could eat this stuff by the spoonful! I hope you have enjoyed this tutorial! Thanks for reading! God bless!